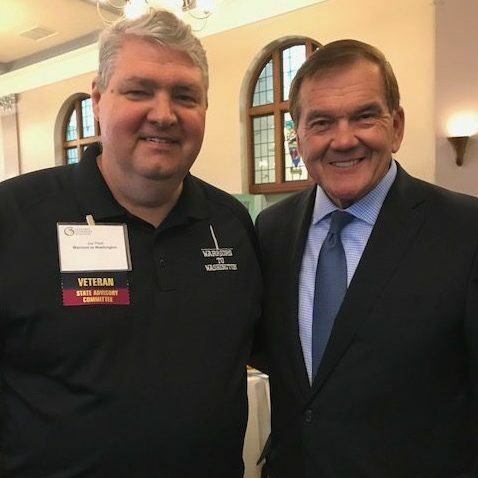 I had the pleasure of spending several hours with former Pennsylvania Governor and the First Secretary of Homeland Security Tom Ridge today. Gannon University President Keith Taylor was a wonderful host for the U.S. Global Leadership Coalition forum. It was my honor to represent Warriors to Washington and as a veteran I thoroughly enjoyed the in-depth panel discussion. Thanks Governor Ridge for your support of our veterans and thank you for your lifetime of service to the nation.